How do I Choose the Best Superfood Supplement? 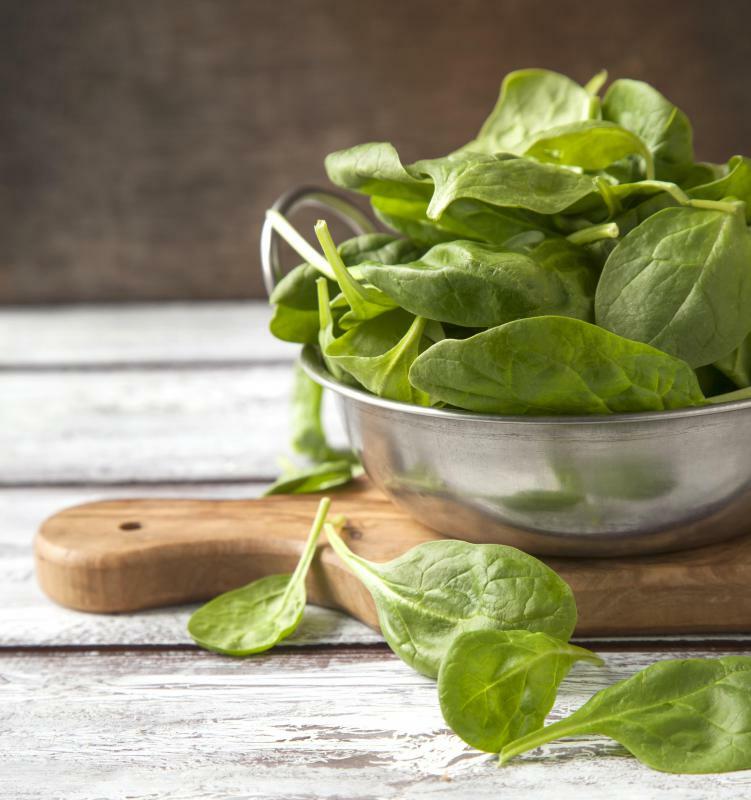 Spinach is often used in a superfood supplement for its rich iron content. The best superfood supplement will likely depend on your individual needs and preferences. You can go with a regular multivitamin to supplement your daily food intake, or you can choose an option which contains more of certain ingredients to help your body cope with a particular issue. For instance, you may need more iron than others to help with a deficiency or more vitamin C for immune support. Find the best option for you by browsing various options and discussing your nutritional needs with a doctor. 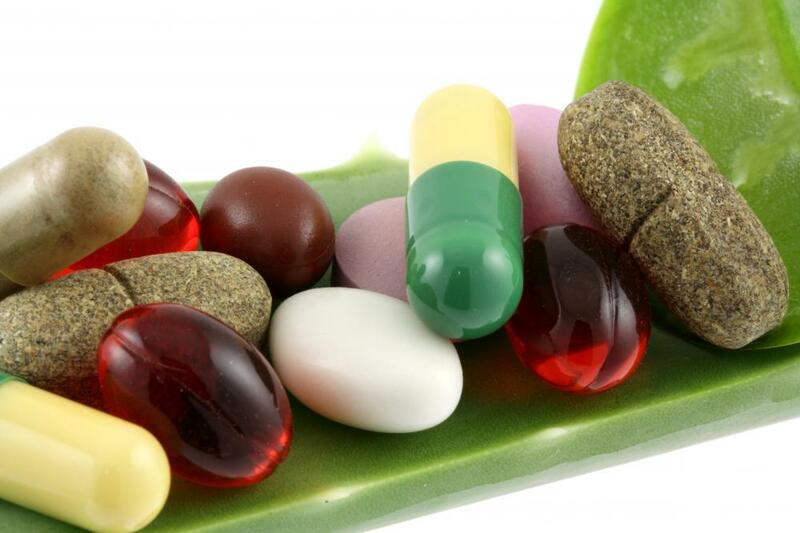 Superfood supplements can include food-based vitamins or whole food juices or tablets for you to take. This helps to provide your body with important vitamins and nutrients that you may not be getting in your daily diet. Foods that are commonly used in supplements are carrots, blueberry extract, green tea extract, and spinach. To help combat a certain condition you are dealing with by using a superfood supplement, you should speak with your doctor or nutritionist to determine what is lacking in your diet. An iron deficiency, for instance, may be combated by taking a food supplement containing iron-rich foods like spinach. You can boost your immune system by taking a superfood supplement containing antioxidant-rich foods like blueberry. This form of supplementation differs from traditional vitamins because the nutrients are derived from a whole food source rather than from synthetically derived vitamins. The former is natural and doesn’t usually contain any man-made ingredients like some other supplements can. This is not to say that all forms of superfood supplement are created equal, so you should always read ingredient labels to be sure the one you are taking doesn’t contain any additives or preservatives. You may also choose to go with a superfood supplement that is made from organic foods. This means that the ingredients added were grown using no pesticides, hormones, or other artificial means. As a result, there are fewer toxins present in the foods themselves so they are not passed on to you. Be sure to follow the dosage instructions listed on the supplement you are choosing. You may also wish to speak with a doctor or pharmacist to ensure it will not interact with any medications you are currently taking. Be sure to investigate all ingredients you don’t recognize thoroughly, as some supplements may have added herbs which can cause side effects in some people. If you have any specific health-related issue, always speak with your doctor before trying to treat it with a superfood supplement. How Do I Choose the Best Organic Blueberries? What is the Connection Between Goji and Cancer? What is an Organic Superfood? What are Royal Jelly Supplements? How do I Choose the Best Wheatgrass Supplements? What is Organic Royal Jelly?